A body has been found following a house fire in Swansea. 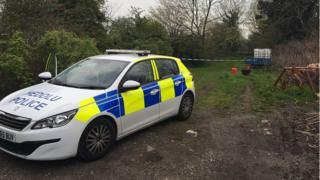 Police were called to an address off Bishopston Road, Bishopston, at about 23:40 BST on Tuesday, by firefighters who had discovered a body while tackling the blaze. The body has not yet been identified, police said. South Wales Police said the house remained sealed off while officers worked with Mid and West Wales Fire and Rescue Service to establish the cause.